the jews feel closest to god when the y are next to the wall. 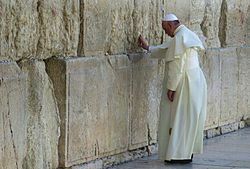 Wikimedia Commons has media related to Western Wall. This page was last changed on 4 March 2019, at 06:08.